Trevor Freeman is a photographer, professional blogger, and published author. He has been active in website development for over 10 years and his personal website, Trevorland, has been maintained regularly since 1998. Trevor’s photos have been displayed at the Phoenix “First Fridays” Art Walk and the Sunnyslope Art Walk. 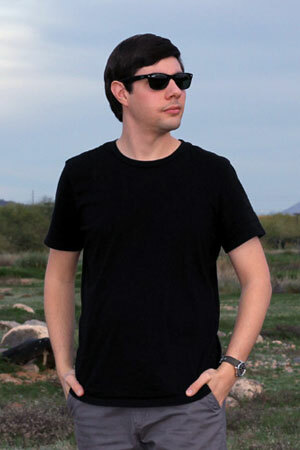 He has written articles for websites including Phoenix.org and Phx411, and has been published in J-Body Magazine, Wired Magazine, and in the book Weird Arizona by Wesley Treat, which was released in 2007. Trevor received his Bachelor’s degree in Business Administration from Grand Canyon University in 2011. He lives and works in Phoenix, Arizona.